Growing companies are under increasing pressure to protect their assets from inevitable detrimental effects of the elements. If your priority is to protect your company’s reputation, its people, products and profits, we would love to talk with you. The most valuable asset any company has is its people. They make or break a business, and good employees are worth protecting and retaining. Every successful business wants to ensure its products remain in prime condition. Protecting them suitably is therefore a high priority. Without profit, businesses die. Protecting assets such as your people, products, plant and equipment ensures profitability is maximised. 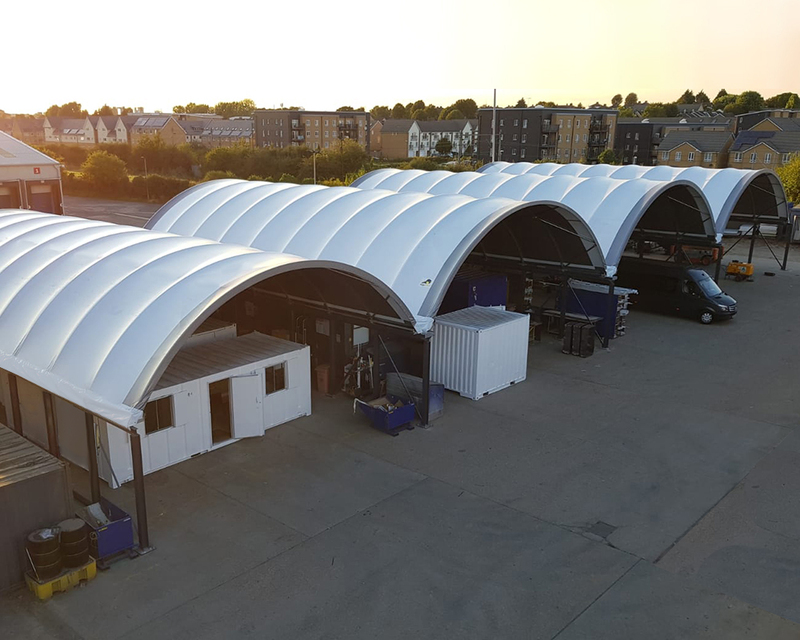 Zappshelter structures are installed assiduously and with little or no groundworks meaning your business continues uninterrupted while the magic unfolds. 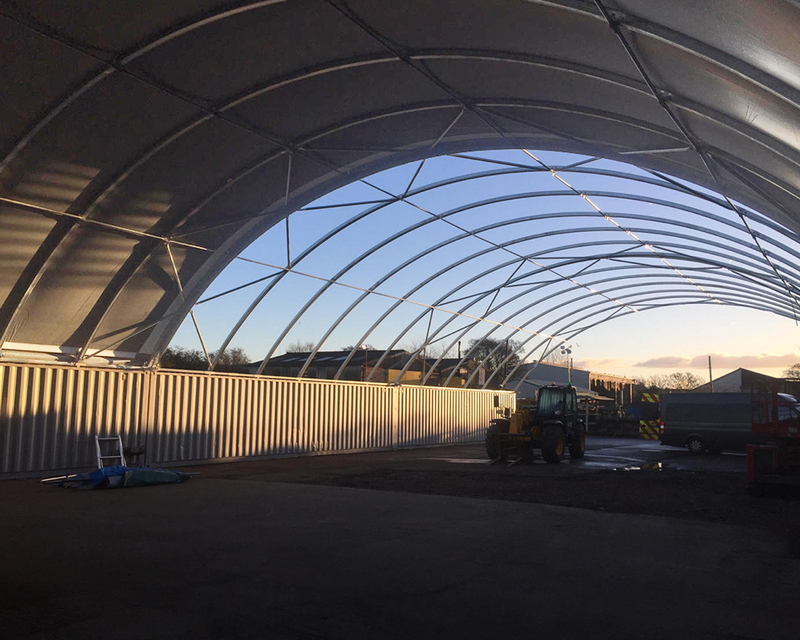 Coupling quality with the expertise of our legendary installation teams means your Zappshelter project is guaranteed to be a success. Experience cannot be underestimated and a huge amount of design engineering has gone into bringing you the world's best shelter system. Zappshelters are designed to BS EN 1991 and BS EN 1993 for snow and wind loading, and also carry a 5-year warranty for complete peace of mind. As businesses evolve, their needs change. Zappshelter can be added to, relocated elsewhere, or dismantled for future use. 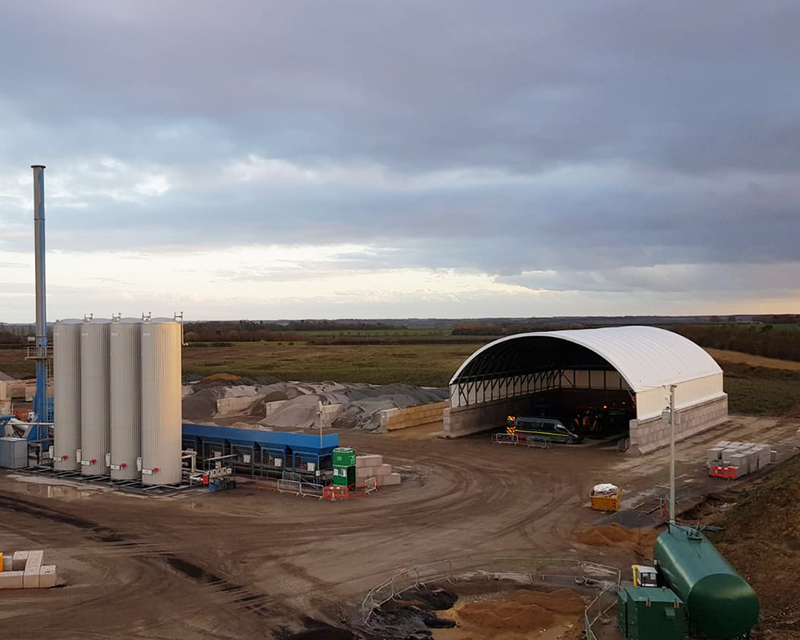 The substructure it mounts on can vary too - from shipping containers to precast concrete blocks and bespoke steel structures, we can accommodate your requirements. Let our Sheltologists® advise and guide you on what you need to do to protect what matters to your business.